Can Instrumental Music Save The Youth? “Where have all the young people gone?” It’s the heart-wrenching question too many older saints are asking among congregations of God’s family. The story is familiar: Children are “raised in the church” – they go to Bible class and worship assemblies, listen to gospel sermons, and are baptized. But after high school, some of these same children (now young adults) leave the church to attend a denomination or other religious group; some turn their backs on religion entirely. A study published by Abilene Christian University reported that, “Forty-five percent of all teenagers raised in Churches of Christ end their affiliation sometime after high school graduation.” The study also noted nearly one-third lose faith in Christ altogether. What is to be done to retain the youth of the church? In recent years, some preachers, professors, and elders among “mainstream” Churches of Christ have actively promoted introducing instrumental music into congregational worship as an effort toward youth retention. They have argued implicitly (others explicitly) that congregational a cappella singing doesn’t connect with young folks, and churches could keep their youth while attracting others by blending instrumental music with the “tradition” of vocal music. 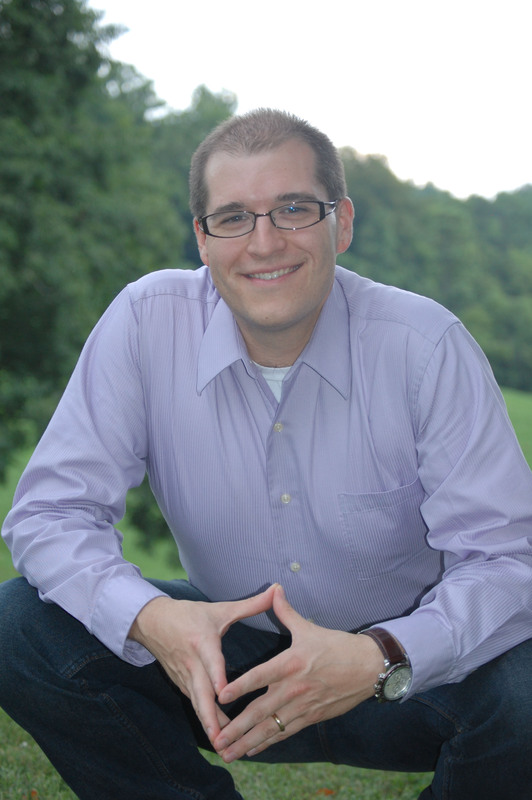 For example, Danny Corbitt wrote a book advocating instrumental music in worship entitled Missing More Than Music. In it, he recounts his time as a youth leader, missionary, and state college minister for Churches of Christ. Throughout his ministry years, he was never convicted about a cappella praise. He writes, “God reminded me that I could only call people to what I was certain that he had said. So, I never taught a cappella; I avoided the topic as much as possible… We sang a cappella, but I couldn’t teach on it.” When a denominational campus minister asked him his views on instrumental music, Corbitt told him he, “didn’t understand our arguments.” He found students in his campus ministry equally unconvinced about a cappella praise. Corbitt argues that the opposition of Churches of Christ to instrumental music in worship is largely responsible for youth leaving the church. Whether or not you agree with our [members of Churches of Christ – A.R.] opposition to instruments and choruses, you should know that most of our students who go away to college are not convinced… I had to take into account the role of views like our opposition to choruses and instruments in the exodus of the students from our churches. Right now, you may think that whatever I believe about instruments and choruses is wrong, but we must ask why our sons and daughters are most likely to leave our churches. Another preacher justifies his congregation’s adopting instrumental music in worship as a strategy to retain and appeal to the youth. His congregation already provided instrumental music in a variety of settings for their youth, and it was time to bring it into the assembly, lest the youth leave for another church or leave the Lord altogether. The only way to save the a cappella “tradition” for the future was to go instrumental now. I believe the best way to preserve an acapella tradition for future generations is to offer both acapella and instrumental worship in a creative blend. There are several reasons for this conclusion… Our children experience instrumental praise in their programming. Our teens enjoy praise concerts at their gatherings. When they leave home they are finding it increasingly difficult to connect in churches that are exclusively acappella. Some studies suggest as high as 80 percent of our children who graduate from high school are now choosing other churches to attend if they attend at all. Instrumentalists among Churches of Christ contend that there must be instrumental music for the sake of the youth. When reflecting upon “why our sons and daughters are most likely to leave our churches,” brethren are supposed to conclude that most likely it’s the music. Somehow singing throughout their youth has made it difficult to connect with churches that exclusively sing; they prefer churches with praise-rock bands instead. So to save the youth (at least to retain them), churches must develop services “geared toward young adults,” which apparently necessitates the inclusion of instrumental music in worship. Who is not concerned when young adults turn away from their Creator and their spiritual family? It is painful. So Instrumentalists among Churches of Christ persuade undiscerning or emotionally distraught Christians that altering the corporate worship and adding instrumental music will safeguard the youth. People will do just about anything for their kids – even revise their worship. Though the Instrumentalists have been pushing their views for years, their agenda is not logical, and it does not follow the Bible. First, it does not follow logically that adding instrumental music will ultimately keep the youth. In 2008, the Pew Research Center interviewed 35,000 adults to gain a picture of the American religious landscape. The Pew Forum on Religion and Public Life found, “More than one-quarter of American adults have left the faith of their childhood for another religion or no religion at all…Factoring in moves from one stream or denomination of Protestantism to another, the number rises to 44 percent…the 44 percent figure is ‘a very conservative estimate,’ and more research is planned to determine the causes.” These findings mirror the A.C.U. study done among Churches of Christ. If every religious group in the U.S. is losing 44 or 45% of their youth, how is it reasonable to conclude instrumental music is the great cure-all that will turn the tide for Churches of Christ? At least 44% of the youth among our denominational neighbors is leaving too, yet, the denominations have largely been using instrumental music in the U.S. for approximately 150 years! Certainly music in worship could be a factor in a Christian’s decision to leave the church, but it is not the sole reason they “are most likely to leave.” If it were, the instrumental denominations would have nothing like the 44% loss rate of youth they are experiencing. Furthermore, it does not follow biblically that adding instrumental music will benefit the youth. The Old Testament chronicles generation after generation of the Israelites. One generation would be faithful to God, but the next would depart from the Lord to serve idols. God would send prophets to work with the wayward generations, and these men were never instructed to take those elements of cultural entertainment (or pagan rites) that the youth found exciting and incorporate them into Tabernacle worship in order to retain straying Israelites. Instead, the prophets cried out, “Repent!” Innovation in worship wasn’t prized by God – faithfulness was. Today, Christians need to realize that if God’s worship is profaned in order to attract or keep the youth, the youth simply become involved in the errors of vain and false worship (Matthew 15:7-9). It must be determined from the New Testament what music pleases God, and there Christians must stand. If the youth decide to leave it, regrettably, that is their choice. For congregations to capitulate to our entertainment-driven culture’s ideal of desirable worship is grievous error. God revealed the music He desired for Christian worship. He said “sing” in the New Testament, and He said it a number of times (Ephesians 5:19; Colossians 3:16; 1 Corinthians 14:15). He did not say, “play instruments” in the New Testament, and there is no example of Jesus or any of the apostles ever doing so for worship. The early Christians did not play instruments for worship, either. Believers sang to God for the first several centuries of the church. The early Christians sang to praise God, and they sang to encourage and edify one another (Hebrews 13:15; 10:24-25; Colossians 3:16). That’s what Christians (especially the youth) need to know now. God gave them a voice with a purpose – a ministry – in the worship of the congregation. Their ministry is one of teaching and admonishing. They educate, exhort, and correct both themselves and the congregation with the “psalms, hymns, and spiritual songs” that they profess by singing to “one another” (Colossians 3:16). Far from being the cause of the “exodus,” a cappella congregational song should anchor young Christians in the Lord’s church. Understanding the biblical basis of the practice can be a significant factor in their future faithfulness. Instrumentalists cry that churches must add instrumental music for the sake of the youth, but brethren understand: a cappella praise glorifies and pleases God. Lewis, David K., Carley H. Dodd and Darryl L. Tippens. The Gospel According to Generation X. Abilene, TX: ACU Press, 1995. pp.170-171. Young, Ken. “The Blending of Acappella & Instrumental Worship.” A study prepared for the Fourth Avenue church of Christ in Franklin, TN. Presented on April 27, 2008. Rivas, Lisa. “Oak Hills drops ‘Church of Christ.’” San Antonio Express-News, Sept. 6, 2003. “Survey: U.S. Religious Landscape in Flux.” The Associated Press. Mon., Feb. 25, 2008. Accessed http://www.msnbc.msn.com on 2/27/2008. Posted on July 27, 2011, in Uncategorized. Bookmark the permalink. Comments Off on Can Instrumental Music Save The Youth?.